These were wines we had one evening a few weeks ago. All reds. It was a lazy weekend, I got a massage. He did yard work. The weather is turning nice, but there is a fine line since I can only take so much heat before I start to melt. For real. 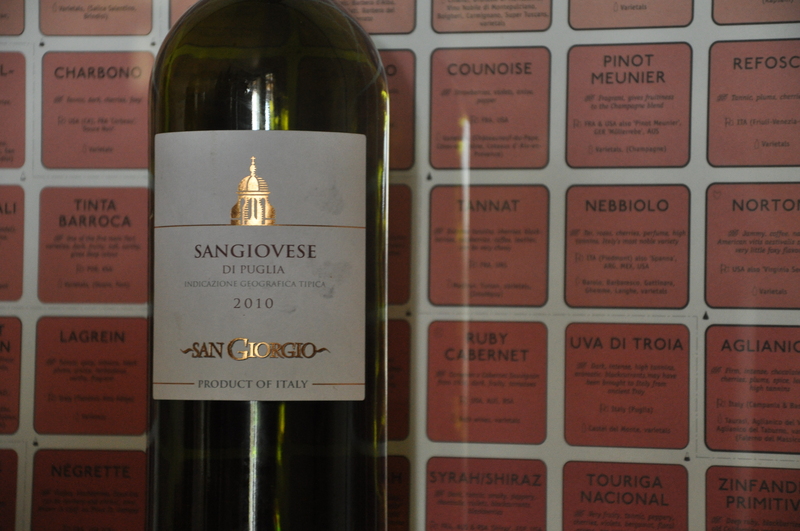 2010 San Giorgio Sangiovese. Or S word wine, I call it Sangio most of the time. The San Giorgio family has a good selection of wines for under $10. We even liked their white wine. This is a light red, not too tannin-y, like just enough of the dry taste. I can see this being a great patio wine at night. 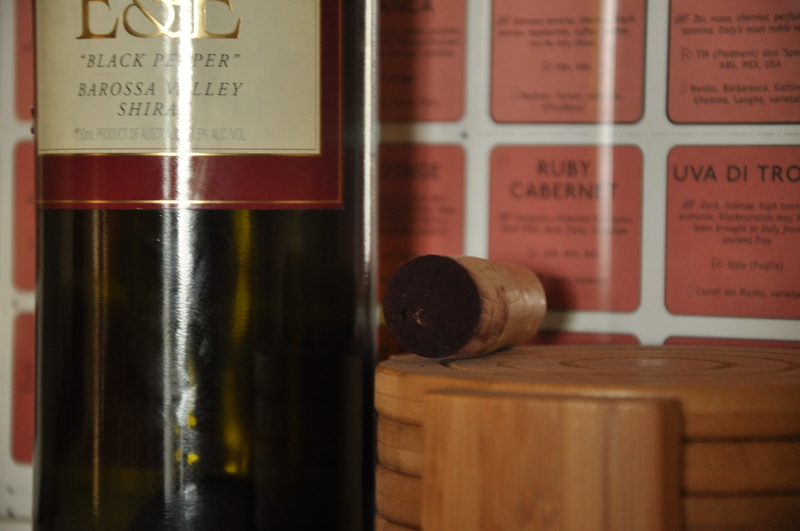 I am mentally filing away summer red wines, other than pinot noirs. We had this with Brats, nice, easy, light, flavorful. 2003 E&E Barossa Shiraz. This nice big red was given to us, I am pretty sure it was given to us by Fiance’s little brother. This. was. delicious. We were sampling whatever cheese we had, which may have been some Frigo brand cheese sticks. Chocolate to pair with? Anything we can get our hands on (like, Christmas candy or something). We looked it up, and we were blown away by the praises and great reviews. We took notes, and tasted dark, inky with dark red fruits, black cherry, plum. Long finish, great finish, I didn’t really want the glass to end until we got to the port. Just joking, we poured into separate glasses. Ha! 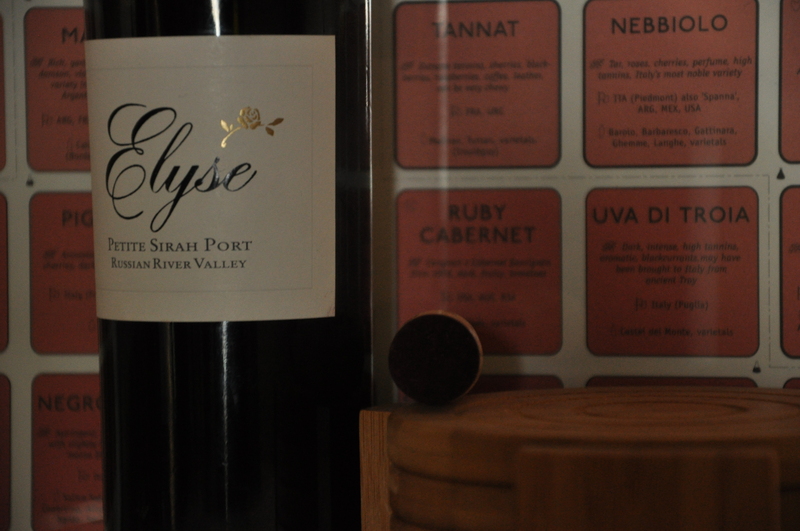 Elyse Petite syrah port. We took no notes on this, but there is something I have learned over the years, never say no to a petite sirah port. I feel like there is enough tannin with the sweet that it just works. I love these ports, the two that I have had so far. More wine, more time, more wine time. We just keep getting bottles, and we are getting better at taking notes here and there. You can’t blame me, by bottle number three, it just tastes good enough to finish. I am still.. researching the spring and summer beers. I used to just, not care and not drink it, but I am drinking with my big girl stein and getting my tastes down. Daunting research.